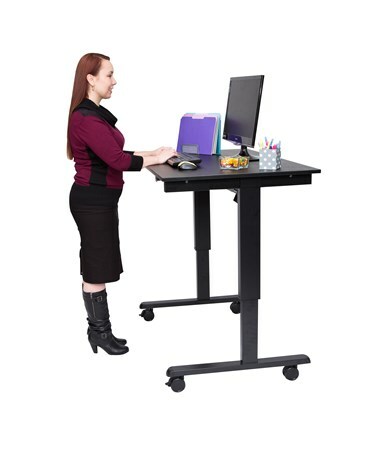 Adjustable legs: 29.5" to 45.25"
The Luxor Electric Standing Desk is an adjustable table with a wide surface area ideal for desktops, laptops, and tablets. 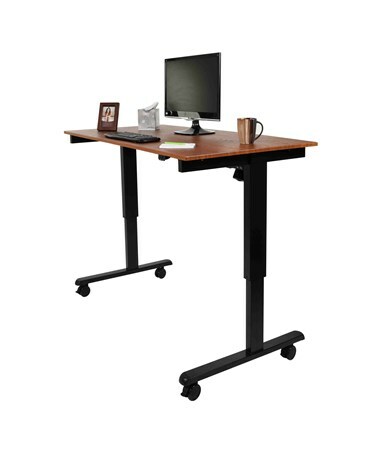 Equipped with an electronic up-and-down control, its legs can be adjusted from 29.5 to 45.25 inches. 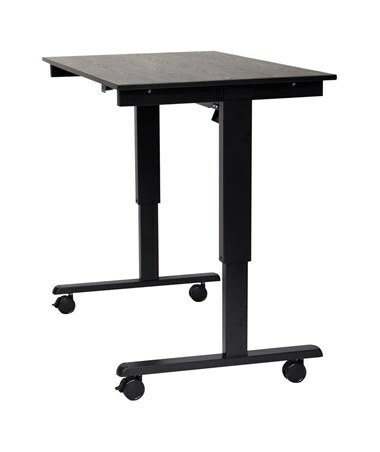 Four 3-inch furniture grade casters are also included for smooth maneuverability and two of these have locking brakes that allow it to be locked in place if desired. 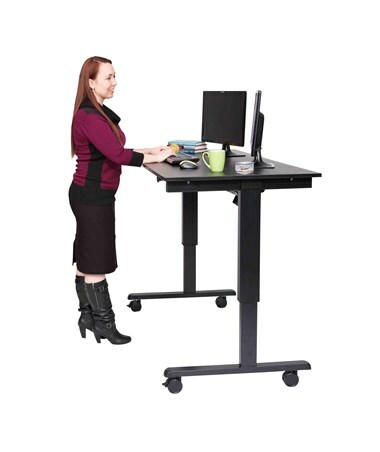 This electronic stand-up desk has a surface width of 60 inches and can hold up to 154 pounds of weight. 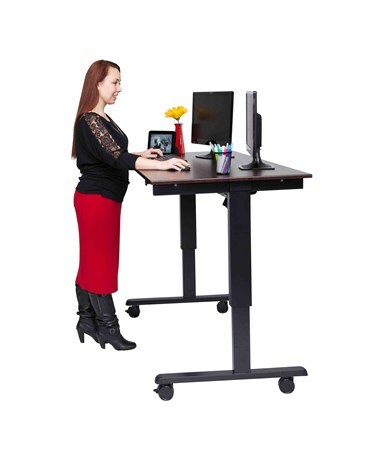 It also promotes the health benefits of standing, such as burning more calories, improved posture, and increased productivity. 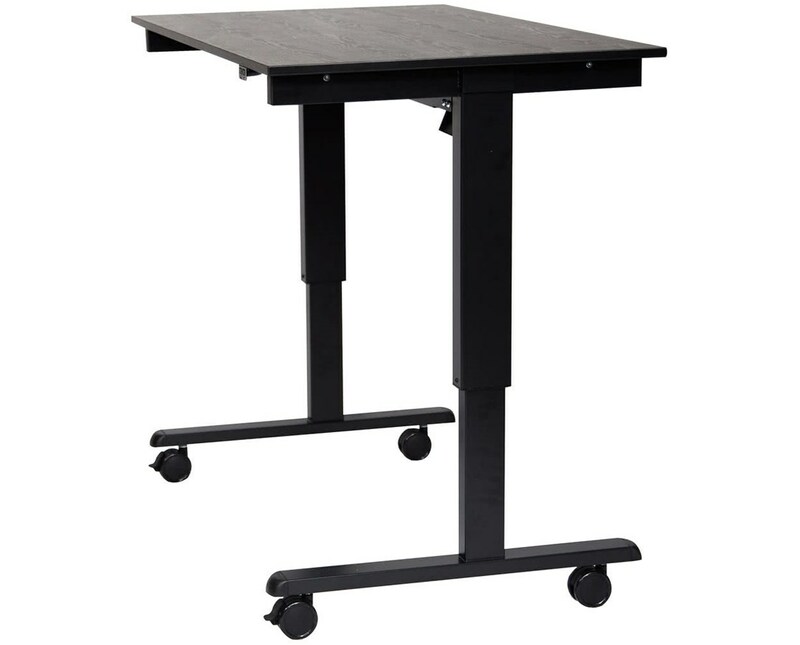 This desk is made of sturdy steel frame with powder coat painted finish. It requires assembly with minimal effort and the tools required are included. The unit is backed by a lifetime limited warranty, while the motor has a 7-year warranty. 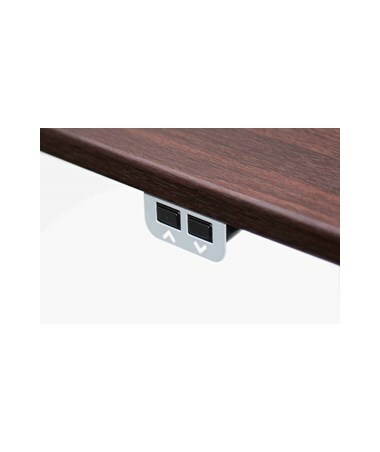 It also meets ANSI/BIFMA furniture sustainability standards. 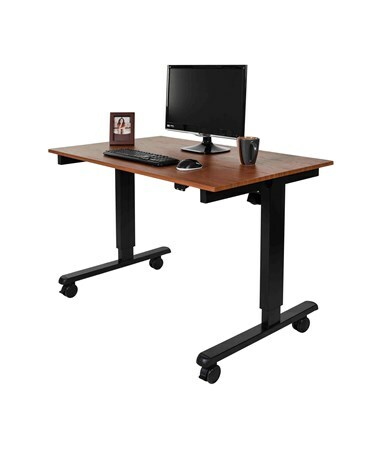 The Luxor Electric Standing Desk is available in different top colors. Please select your preference from the menu above. Work Surface Height 29.5" to 45.25"